Travel Insurance: Which One To Buy? 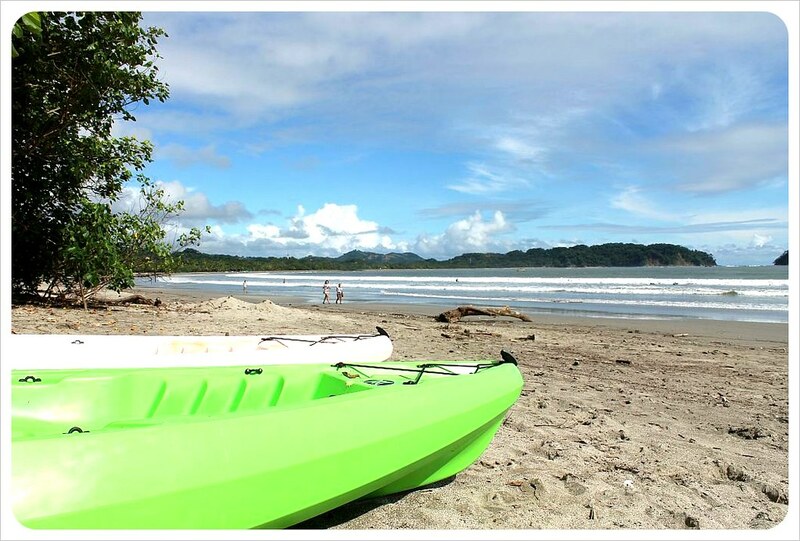 When we came to Sámara the first time in February 2011, we had accidentally stumbled upon the little beach town on Costa Rica’s Nicoya Peninsula and had decided that we did not want to share it with anyone, begging you not to go to Sámara Beach. We had feared that too many visitors would turn Sámara into a second Tamarindo or Coco, where huge apartment complexes and hotels appeared faster than the little beaches could take. After returning to Sámara now though we were assured that there are strict building restrictions in place and the gorgeous long stretch of beach would not be littered with massive all-inclusive resorts any time soon. Sámara is located in a wide, picturesque bay. A coral reef protects it from the strong waves that you have in nearby Santa Teresa or Nosara, making Sámara a perfect place to enjoy the ocean, but still attract surfers, especially beginners. 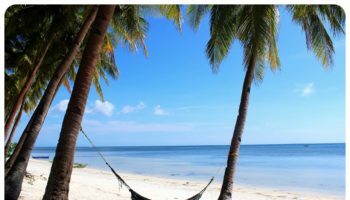 Even though there are quite a few hotels and guesthouses along the beach, they are well hidden by the coconut palm trees so that it retains the feel of a long stretch of undiscovered beach. There is a range of restaurants and bars, and activities range from snorkeling and fishing tours to horseback riding along the beach and ATV tours. The town itself is tiny with only 400 residents, and is only three blocks wide and two blocks deep, and you can walk from one end of the beach to the other in an hour. Most hotels are only a short walk from the little town center with some shops, supermarkets, banks, galleries and restaurants. 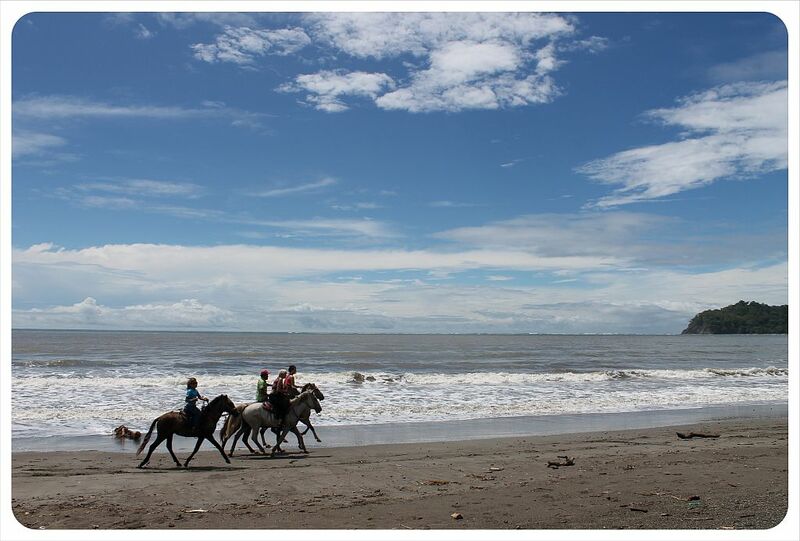 Rainy season usually lasts from July to November, which makes December to June the perfect time to visit. It doesn’t always rain in the ‘green season’, either. During this time, mornings are nice with some showers in the afternoons. We have compiled a list of places to stay at in Sámara, where to eat and drink, and what to do in Sámara, but please note that these are only a few of many and that there are lots more for you to explore! The gorgeous stretch of fine sand beach is the perfect place to kick back for a few days and do nothing. Swing in a hammock or lie out and just work on your tan with occasional dips in the ocean. In Sámara you will not feel guilty if you don’t do anything but relax for a while. You can book a kayak trip to Isla Chora, a deserted island on the south end of the bay, where you can snorkel on a pristine beach with crystal clear water. The tour takes around three hours and is $40 per person. 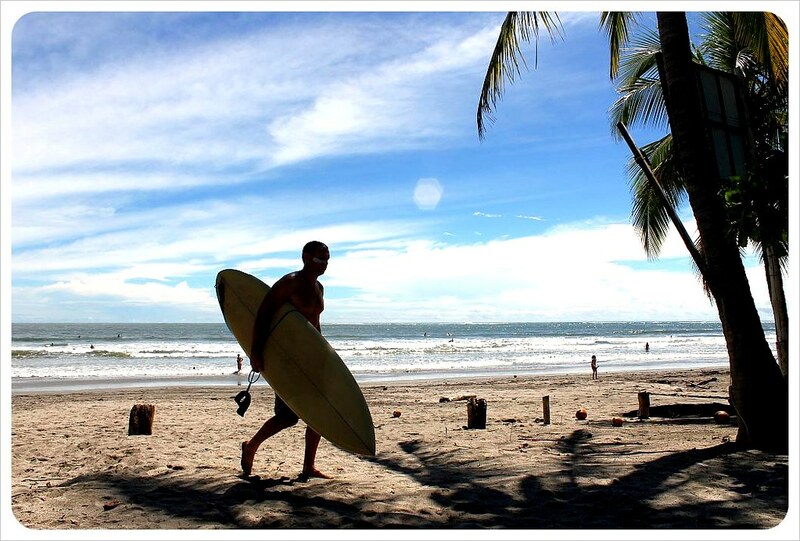 There are a couple of surf schools in Sámara that offer hourly, daily and weekly surf courses. Try Choco’s Surf School or C&C, where you have the board for 7 days for free if you book surf lessons. The shallow water is also perfect for stand up paddling and there are some great spots for scuba diving along the reef. 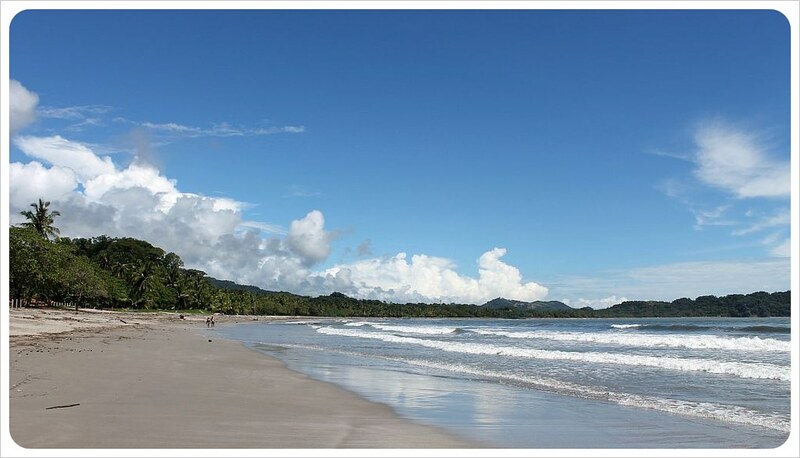 Carrillo Beach is a picture-perfect beach 6km south of Sámara. 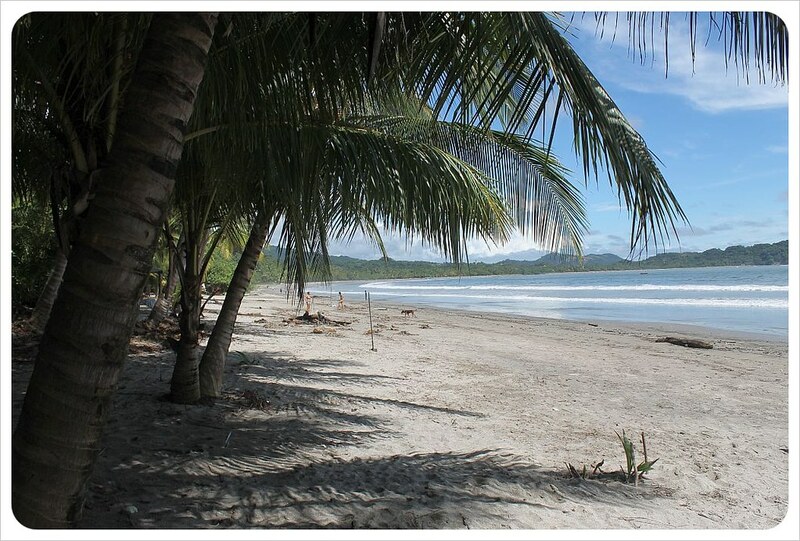 If you are looking for solitude and a paradise-like setting, you will love Carrillo Beach. There are only a couple of hotels and the beach is nearly deserted at all times. The Intercultura Sámara Language School offers Spanish lessons in their class rooms overlooking the ocean. Could there be a better setting to learn Spanish in?! Spanish is taught in small, interactive groups and students can also take part in cultural activities such as Latin dance or tours around the area, and the school provides (optional) family home stays. There are plenty of other activities in Sámara – you can take a day trip to Ostional to see a turtle arribada, go on a fishing trip, take an ATV tour, go ziplining, take yoga classes, see the coast from above in a gyrocopter or go on a whitewater rafting trip. Ahora Si is a vegetarian restaurant run by an Italian expat, Sabina, who cooks up a mix of Italian vegetarian fare and Asian rice dishes, soy burgers and fresh fruit shakes. Ahora Si takes pride in serving organic dishes with locally grown fruits and veggies. Lo que hay is located right on the beach, a small taqueria and bar with a popular Taco Tuesday (two tacos and a beer for $3). 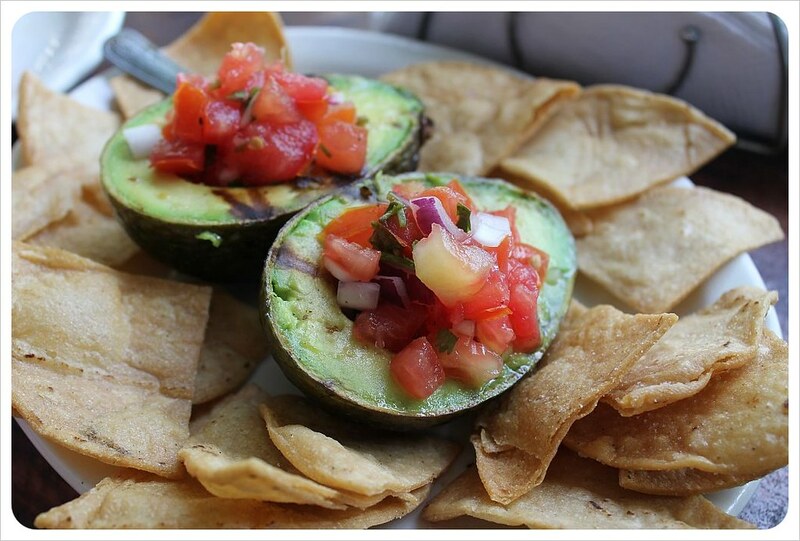 They have a variety of tacos and bar food such as filled avocados with home-made tortilla chips, and also serve pizza. There are several drink specials and a wide range of cocktails available. Kaibella offers Thai Caribbean fusion and is run by Canadian expat Belle, who opened the restaurant on Sámara’s main street in 2010. The Thai dishes all have Belle’s personal touch combining traditional recipes with Costa Rican fruits and vegetables. You can get vegetarian dishes with tofu, or chicken, beef and seafood dishes. Casa Esmeralda serves Tico cuisine, comparable to an upscale Soda where you can get Costa Rican casados and other meals, with excellent steaks, chicken, seafood and rice. If you are looking to try some good Costa Rican food, this is the place to go. Gusto has creative Italian cuisine with a focus on seafood and especially famous for its excellent pasta dishes. There are two Gusto restaurants in Samara – one right on the beach and one in town; apparently the one in town is better than the one on the beach. 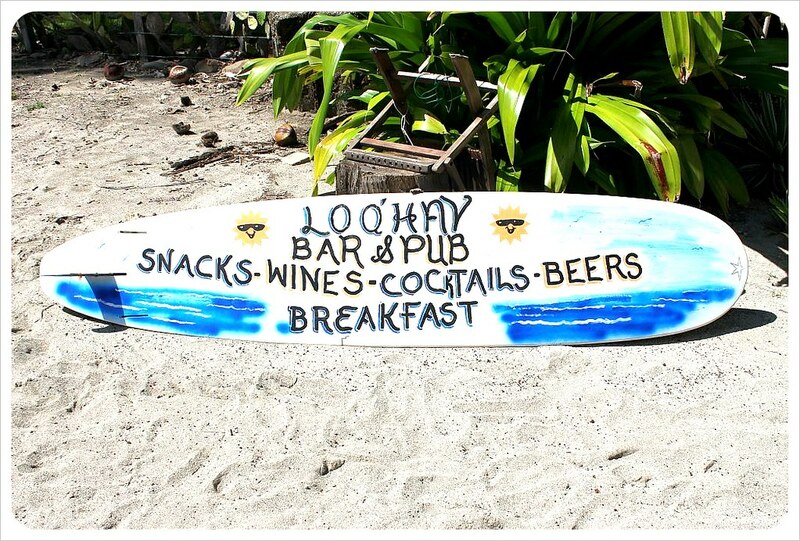 There are several bars lined up along the beach and the main road, where the surfer crowd likes to gather at after the sun sets. Among the popular bars are Lo Que Hay (see Where to eat), Bar Arriba, Bar Olas and Bar Tabanuco. The Treehouse Hotel is located right on the beach in the center of Sámara, and consists of six luxury tree house style apartments. The wooden houses are all built on stilts and are set in a tropical garden with a little pool. Hotel Fenix has six apartment-style rooms set around a little pool and is also located right on the beach. Each apartment comes with a fully equipped kitchen and the landscaped gardens have hammocks and sun chairs right on the beach. 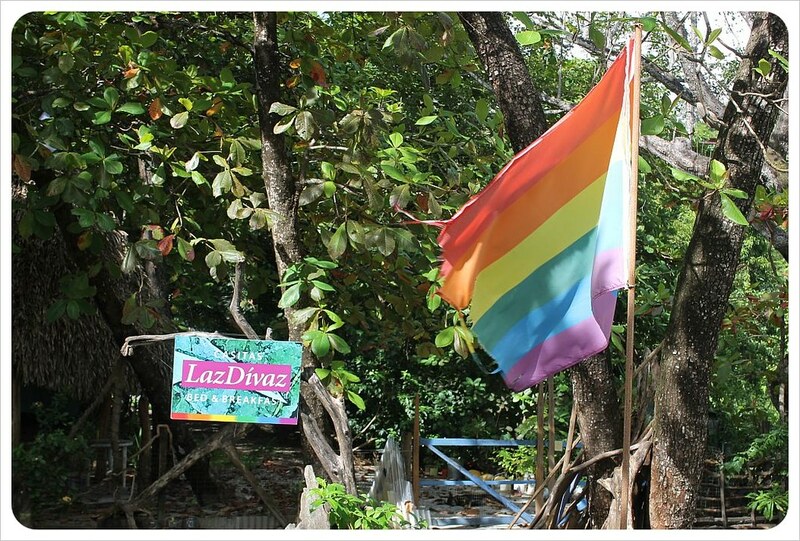 Laz Divaz is a small, lesbian-owned B&B right on the beach. With only three little cabins, ‘Marlene Dietrich’, ‘Farinelli’ and, rising on her fabulous stilts, ‘Tina Turner’, it is an intimate place to stay. The ‘Tina Turner’ cabin comes with a fully equipped kitchen, the other two cabins include breakfast cooked to order. Casa Valeria offers several bungalows right on the beach, set around a tropical garden with hammocks and sun chairs. There is a communal kitchen that can be used by guests and there is free coffee in the morning. The bungalows are great value for money. 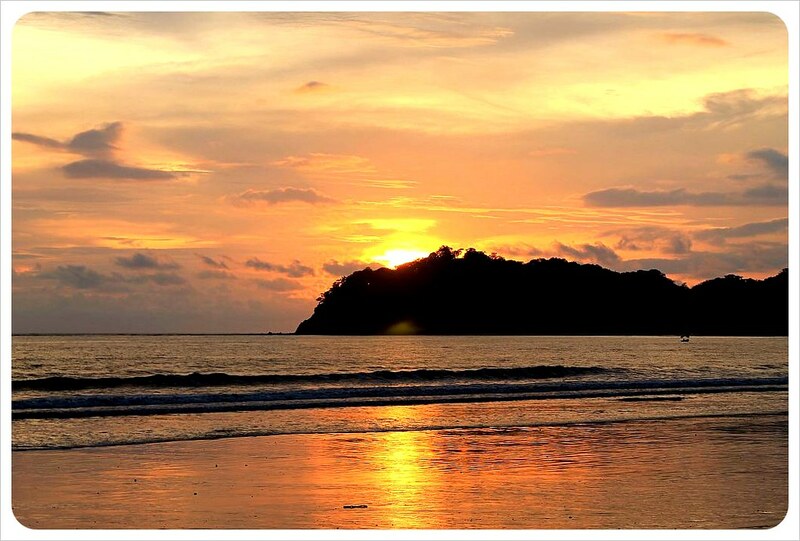 Las Mariposas is a hostel located in the town center, just a short walk from the beach. There are shared dorms as well as private rooms and a communal kitchen can be used. Free coffee in the mornings is included and guests can choose between three different kind of breakfasts, all for only US$4.00. There is a daily direct bus to Sámara from San Jose takes about 4.5 hours and is 4000 Colones (US$8.00). Interbus runs shuttles (minivans) from San Jose to Sámara for US$45.00. The easiest way to get to Sámara from North America, however, is by flying into Liberia, only about two hours north of Sámara and then either renting a car or driving from there. Taxis run US$70 from Liberia, while cars can be booked for o $25 – $50 per day. The flight schedule is more restricted into Liberia than San Jose, but Costa Rica’s own TACA Airlines offers cheap flights to Costa Rica from most U.S. and some Canadian airports, and you can find flights with TACA Airlines on flights24.com. Beyond the Blog: Get updates straight to your inbox! Keep up with me! Get updates, additional stories that don't make it on the blog, future travel plans, and travel tips. I also answer reader questions and have some pretty sweet travel giveaways exclusive to newsletter subscribers! I am Dani, a full-time traveler since 2010 when I escaped my cubicle and decided to travel the world. I have been on the road ever since and I've got no plans to stop any time soon! Housesitting: free accommodation around the world! Subscribe to my mailing list for updates beyond the blog! Copyright © 2017 Globetrottergirls. All Rights Reserved.